The Billionty-Oneth Geek: Nick Hornby's SLAM!!!!!!!!! Nick Hornby continues to be my favourite author and Slam further solidifies this. He writes about me, without writing about me. He writes about characters who have one foot forward into growing up, but with their other foot firmly rooted into their childhood. Like in High Fidelity or About a Boy, they’re stories of men who don’t want to grow up. So Slam follows this trend of characters, except it turns things on its head a bit. Instead of a story about grownups, this is a story about a teenager; someone who is half-way between childhood and adulthood. With the analogy of one foot forward and one foot back, the teen would probably be mid-way... that’s right, in the crotch region of life. The story is about a 16-year old boy named Sam who is raised by his single mother who conceived him when she was a teenager. Sam is a typical teenager, the one that’s sort of breezing through life, without any clear direction or motivation to take his life anywhere. He’s a big fan of skating (as in skateboarding, but he refuses to use the full term and frowns upon those that do) and idolizes his hero, pro-skater Tony Hawk. He’s read his biography over and over, and confides in a poster of him which hangs on his wall. Anytime anything goes wrong in life, he laments to the poster of his struggles and problems. Any responses that Tony gives Sam are always in the form of excerpts from his biography. His imaginary celebrity friend is his closest confidant. Things get more complicated when Sam meets Alicia, the attractive daughter of family friends. It gets complicated because they’re both teens. And teens are sometimes stupid. There is an ironic twist of fate that’s topped off by some weird events (without trying to spoil anything… okay, I’ll spoil it at the bottom via inviso-text). The rest of the story follows Sam as he struggles to accept the responsibilities associated with his new life. Though Sam is a teenager, he’s written similarly to characters from Hornby’s previous books. It’s perhaps because they all go through similar struggles; finding out new responsibilities coupled with the fear and unwillingness to accept them. Sam just wants the simplicity and comfort of the old life. Hornby makes some strange choices though. 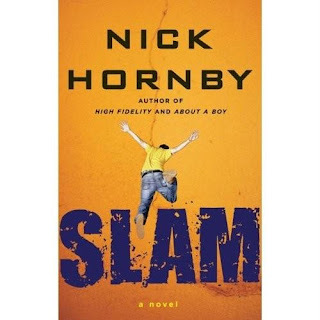 The one that puzzled me the most was why he would use Tony Hawk as the idol figure, and not say, David Beckham, as Hornby is a diehard soccer/football fan and given that the story takes place in England. He does try something new with Sam’s character, and without spoiling what happens, it’s something that you wouldn’t think would happen to characters in this type of story (I’ll explain in the inviso-text). I can totally relate to this story though, or more so to Sam’s character, it’s how I’ve always seen my life. One part of me wants to grow up but another part of me refuses to. I was talking to one of my former pastor’s about this years ago. He, who is near 50 but is still the biggest kid, said that you can mature but you should never grow up. The fun and joy in life would be taken away. Needless to say, after reading the book, it made me think a lot about growing up, trying to grow up or whether I should even try. I’ve always felt like ‘the kid’ in any social type of situations or the ‘young gun’ at my work. A lot of the new friends I’ve met over the past year can’t even believe I’m as old as I say I am because my attitude is “youthful”. It’s not like I do anything immature or stupid, but my outlook on life is just to be chill. And I’m glad that I am this way. The timing of when I read this book is also interesting (at least to me). Already the book had me thinking a lot about “growing up”. That same weekend at my church, my pastor preached a sermon about how we need to “grow up” or mature as Christians and in our roles as part of the body of Christ. And on top of that, I made a commitment a month ago that enacted this same weekend to give up watching, listening, and following in general, anything that was related to prowrestling, in support of a friend who was giving up smoking; one distinct way that I needed to “grow up”. So the timing was very relevant. That week, I also started listening to the musician Jonsi, and I had his album on repeat the whole time. It really helped create the atmosphere of the book for me. As a big fan of Hornby, how could I not recommend this book? Especially if you’re a young man, it’s a worthwhile read. I guarantee that Hornby (through Sam) struggled with the same sorts of questions that you have with life. Until next time, later geeks!